According to Iran’s Vice President and head of the Department of Environment, Iran will lose 70% of all its farmland in the next 30 years. 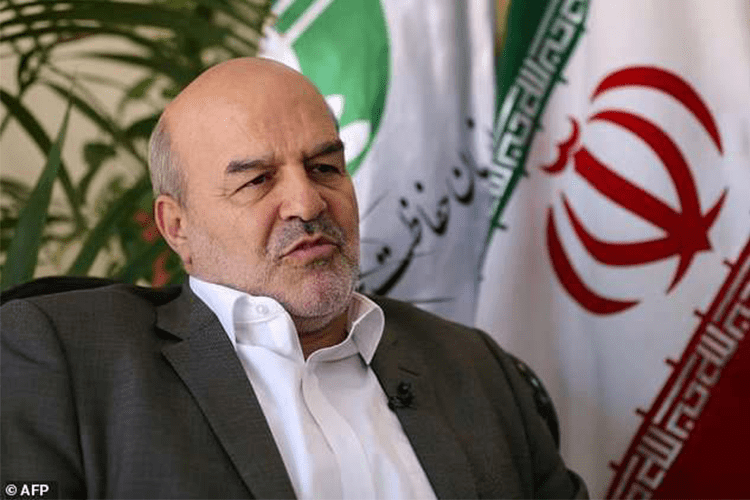 In an interview with AFP, Isa Kalantari said that Iran faced losing 70 percent of its farmlands if urgent action was not taken to counter a plethora of climate woes. The Islamic Republic is grappling with air, water and soil pollution, as well as drought and desertification and other environmental issues. Adding to the dire situation, “we currently use about 100 percent of our renewable water … according to global standards, this figure should not be higher than 40 percent,” said Kalantari, vice president and head of Iran’s Environment Department, in an exclusive interview in Tehran. “The excessive consumption of water, especially from groundwater is a threat and could have terrible social consequences,” he warned. “The south of Alborz and east of Zagros, if we don’t take swift action, will become unusable for agriculture,” Kalantari added. Alborz and Zagros are mountain ranges in the north and west of Iran respectively. The majority of Iran’s mostly arid land mass and population centers are located to the south and east of them. According to the UN’s Food and Agriculture Organization, Iran, a country of some 80 million people, predominantly relies on agriculture. Kalantari said there had been many years of mismanagement of water resources, and mistaken decisions forced by political and economic concerns such as the US sanctions and climate change. “We basically thought that environment was not that important,” he said. “We made these mistakes in the 1980s. Then we came to realize that in places that we’d built dams, we shouldn’t have built any, and in places where we should have built dams, we didn’t build any,” he said. The pressure on the country’s resources has also been exacerbated by population growth, with Iranians encouraged to have large families in the years following its 1979 Islamic revolution. “In the first decade after the revolution, we encountered a high population growth rate, more than three percent annually,” Kalantari said. This policy was taken “without paying attention to utilizing and improving” the use of resources, he said. He also highlighted the effects of the Iran-Iraq war (1980-1988), when the country was isolated and could not concern itself with sustainable development as it had a burgeoning population to feed. “Iran could not, and cannot, bear the pressure that this (population growth) exerted on the consumption of water, for the supply of food and for agriculture,” he added. The strain has shown recently with Iranians taking to the streets in December and January this year, protesting over economic conditions. A former agriculture minister in the 1990s, Kalantari said Iran could not be self-sufficient in food production for its estimated 80 million people “if we want sustainable policies”. Even with state-of-the-art technology, Iran could only be completely self-sufficient to supply food for 50 to 55 million people. He also blamed some of the country’s air pollution woes on biting sanctions. “Locally-produced car engines are not up to standard, so when sanctions are imposed, car manufacturers such as Peugeot and Renault depart,” said Kalantari. The two carmakers suspended operations in Iran after Washington withdrew from a ground-breaking nuclear deal earlier this year and re-imposed sanctions, as European leaders have so far failed to gain any exemptions for their firms. A lack of new cars prompts Iranians to “use domestically-made engines” which do not adhere to modern environmental standards. The resulting pollution frequently hangs heavily over the capital Tehran, with smog often rendering the mountains to the north invisible, while there have been growing cases of people hospitalized with respiratory problems.